Alameda is a key stop on the 'El Tempranillo' Route. A crossroads since ancient times, this town in the Antequera region takes you back to the bandit era when you visit, creating an experience that combines culture, tradition and romanticism. In addition, Alameda possesses interesting archaeological sites and a lagoon that has been declared a nature reserve. All of which provide temptation for lovers of outdoor activities, and to recover, what better than the trying the succulent cuisine of the inland town in the Málaga province? Alameda houses the mausoleum of the famous bandit José María "El Tempranillo". You can see it in the courtyard on the church of the Inmaculada Concepción. The church of the Inmaculada Concepción is one of the most remarkable buildings in the town. Construction work started in the 18th century and it possesses three dressing rooms. Amongst its works of art, a statue of Christ on the cross and a valuable collection of oil paintings stand out. Roman Thermal Baths dating back to the 1st and 3rd century A.D are one of the other cultural treasures of Alameda. They have been declared a National Monument and a Site of Cultural Interest. A Topic Center allows us to know the function of these old baths. However, the presence of man in these lands dates back thousands of years, as testified by Alameda's Chalcolithic Necropolis, a complex of artificial caves created between the years 2500 to 2000 B.C. In its pits, lithic, ceramic and skeletal remains have been discovered. 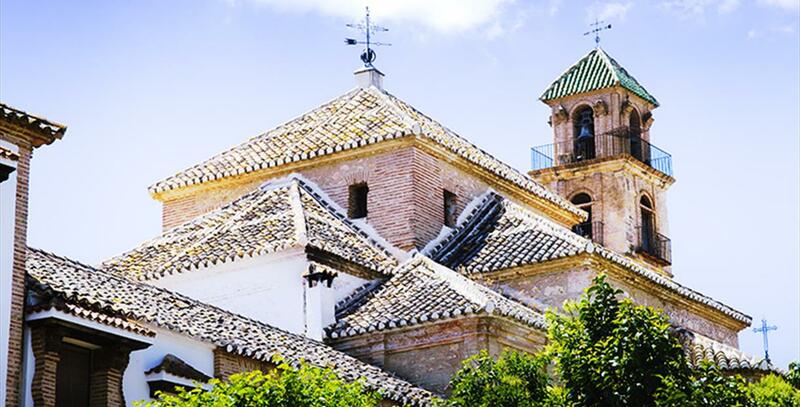 In order to get a first hand look at the lives and customs of the country folk and merchants of the region, Alameda has a Museo de Antiguos Aperos and a Centro Temático del Campo Andaluz. In the centre of town you can also see the Fuente de la Placeta built in the 18th century. It has becomes one of the town"s symbols. Of the many ways to get to Alameda from Málaga by car, the best is probably the A-45 Málaga motorway then the MA-708, the journey takes around an hour. You can also get there on public transport thanks to an intercity bus. The journey time is around 1 hour and 45 minutes. Alameda is tucked away at the foot of the sierra de la Camorra. With around fifty caves and potholes and more than four hundred plant species, it is the perfect hiking and potholing spot. In addition, the town has a viewpoint from which you can see the olive groves in the North of the region, Cordoba"s Subbética and the Sevillian countryside. The Laguna de la Ratosa, catalogued as a nature reserve in the Antequera region, is situated four kilometres from Alameda's town centre. There are 23 hectares of wetlands whose water comes from rain and run-off. Although for parts of the year it's dry, at others it"s home to flamingos. Alameda celebrates Noche de la Candelaria in February. The event prompts people to gather around campfires set in various parts of the town, eat typical foods of the area and tell stories. In May it is the turn of the fiesta patronal en honor de San Isidro Labrador, which has been declared of Tourist Interest in Andalusia. The pilgrimage and the leisure activities during the day, and the festivities at night don"t leave room for downtime during this colourful celebration. Three months later, fun and revelry floods the streets of Alameda once again with the Feria de Agosto. Other dates on the festive calendar are Semana Santa (Holy Week), Certamen de Cantautores in June and Carnaval, which has a competition to determine the best murgas (street performance groups), and a procession of floats. Alameda"s traditional dishes are characterised by large amounts of products that come from the ground. Flour and olive oil are two of its fundamental ingredients. Some of it"s typical dishes include arroz con conejo (rabbit with rice), migas (fried breadcrumbs served with cold cuts and vegetables, as well as other ingredients), sopaipas (small fried dough tortillas) and porra, the shining star of the region"s gastronomy, a tomato soup with peppers, morsels of bread and oil topped with egg, ham and tuna, (perfect for summer). For those with a sweet tooth we recommend pestiños (a soft muffin bathed in honey), mostachones (flat fairy cakes), and hand made mantecados (a world famous Christmas treat). The earliest settlements recorded for Alameda date back to the Chalcolithic or Aeneolithic (2,500 BC). The most abundant traces, however, are from Roman times. Pliny the Elder mentions a village, Astigi Vetus, which could have stood where Alameda is today. Three major Roman roads converged in the area, proof of the place"s relevance in the Roman Empire. 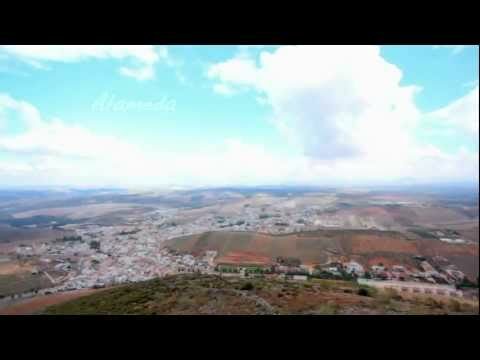 Despite the importance of the region of Antequera in the times of Al-Andalus, there are no records of Alameda before the sixteenth century. It was then that the village came to belong to the Marquis of Estepa as part of Seville, a province it belonged to until the nineteenth century. The Parish Church of Inmaculada Concepción began to be built between 1696 and 1700, while the Town Hall was raised in 1848. José María Hinojosa Cobacho, aka "El Tempranillo", embodies the typical bandit (more of an outlaw than a criminal). Born in Jauja in 1805, he committed a passion crime when he was still very young and took to the sierras, where he had his band. His eventful life gave rise to a thousand and one popular stories. El Tempranillo used to attack stagecoaches and give what he got to the needy. He even had less scrupulous bandits as his enemies. King Ferdinand VII granted him a pardon and appointed him as Commander of the Horse Riding Band. One of his enemies, a criminal known as El Barberillo, shot him dead with a blunderbuss. El Tempranillo"s grave is in the courtyard of the Chruch of Inmaculada Concepción in Alameda. El Tempranillo and his gang operated mainly in Alameda, Badolatosa, Jauja and Corcoya. All these villages are part of the Tempranillo Route, associating the places frequented by this bandit with the most relevant facts of his life. Legend has it that, in the nineteenth century, an esoteric sect emerged in Alameda in the second half of the nineteenth century. They even sacrificed one of their members, a man called "Parrito", throwing him down the rocky slopes of the Sierra de la Camorra. The local authorities went after them, and the sect disbanded. The events are still told in poems and oral stories.